Seahaven Veterans and Armed Forces Day 2015! Why not come to the Martello Fields on Saturday 27th June 2015 and show your support for our Armed Forces, past, present and future in celebration of Armed Forces Day? 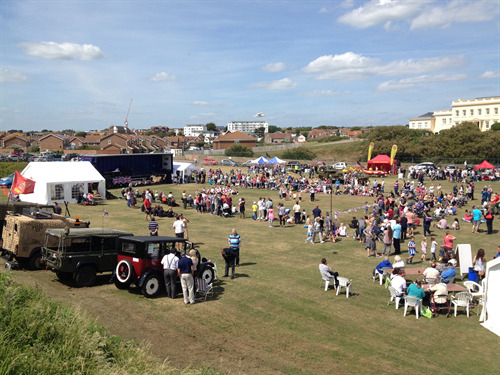 The Martello Fields will be open from 11am to 4pm hosting community stalls, fun fair rides, arena displays, military exhibitions and the Veterans and Cadets parade. The chosen charity for this year’s event is the local Cadet Forces that all proceeds will be going to.